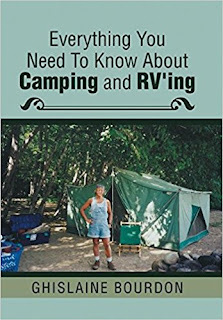 These are informative and entertaining lessons that teach the ways and etiquette of camping that will lead to a more relaxed and enjoyable vacation for everyone. Learn to organize, plan, and prepare with eagerness and excitement. 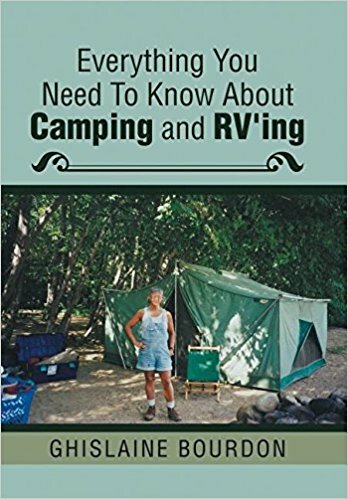 Camping is fun for everyone especially if you know how to do it right! Let me guide you to your greatest adventures. Ghislaine Bourdon has a bachelor's degree in studio art. She was a swimming instructor for most of her life and taught swimming for the school system in France for many years. Ghislaine bicycled across most of Europe including the Alps alone when she was sixteen years old. She has climbed many mountains and does extensive camping trips. Trying not to be hindered by a past mental illness Ghislaine has overcome many life long difficulties. She is an extremely diversified individual with talents that abound.